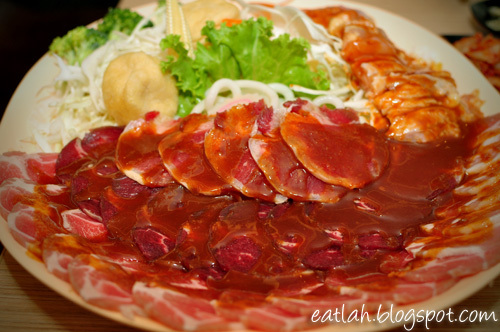 Bar B Q Plaza Deal with Everyday.com.my | where and what to eat lah? Starting this Wednesday (June 15), Everyday.com.my will be featuring another great savings deal with Bar B Q Plaza. 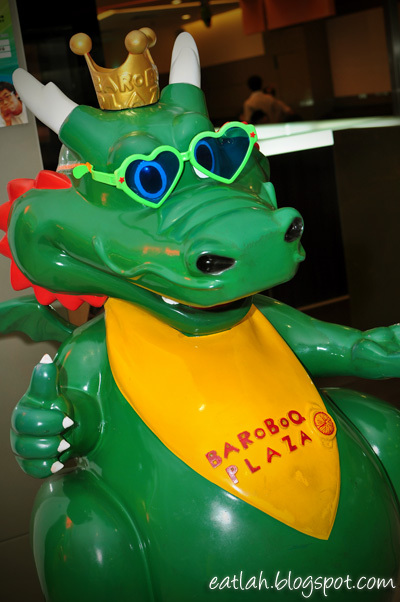 Bar B Q Plaza is a franchise originated from Bangkok, which features a self-cooking Mongolian and Japanese style barbecue. So what's the deal about? 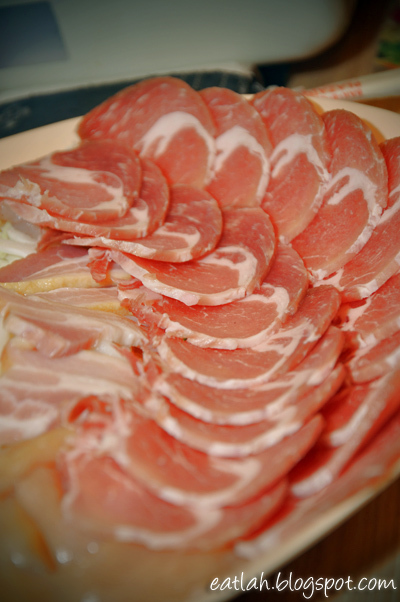 A whopping 50% OFF for either Supreme Pork or Supreme Beef Set! Each Supreme set worth RM 37* is now for grabs at a bargain RM 18.50*! Each Supreme includes two bowls of white rice. With every coupon purchased, you can get 50% OFF for selected 4 side-dishes such as Grilled Marinated Pork Belly, Som Tam with Soft Shell Crab, Pineapple Fish Fillet and Shioyaki Squid. No reservation is required and only walk-in to any Bar B Q Plaza branches (5 in KL/Selangor and 1 in Penang). Valids only from Mon - Fri (from June 22 - Sep 22, 2011). Supreme Beef Set is now an incredible 50% OFF! Originally selling for RM 37*, now it's only RM 18.50! This set is suitable for Two person includes sirloin, choice beef, chicken, squid, shrimp, udon, sliced cabbage, baby corn, carrot, lettuce and tomato. 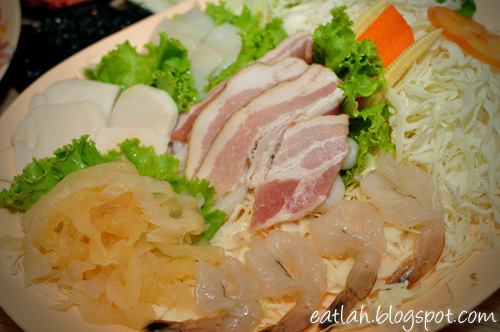 Or alternatively, you can choose the Supreme Pork Set which includes pork, bacon, chicken, squid, shrimp, udon, sliced cabbage, baby corn, carrot, lettuce and tomato. 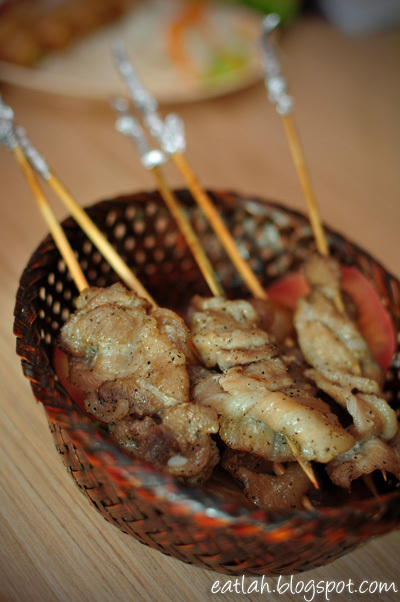 With the same deal, you will get to save 50% OFF from specially selected 4 side dishes such as Shioyaki Squid, Som Tam with Soft Shell Crab, Grilled Marinated Pork Belly and Pineapple Fish Fillet. 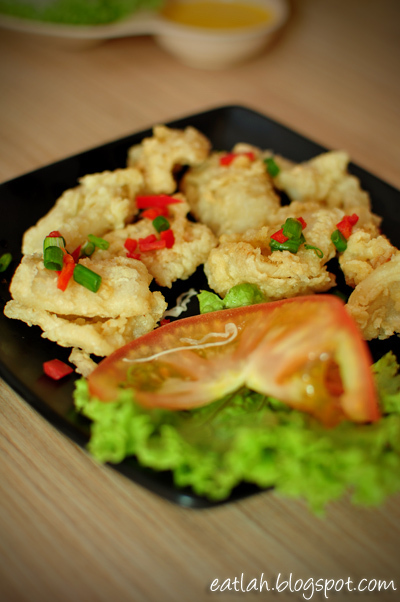 Shioyaki Squid (RM 8.90), lightly battered deep-fried squid covered with salt and pepper mix. 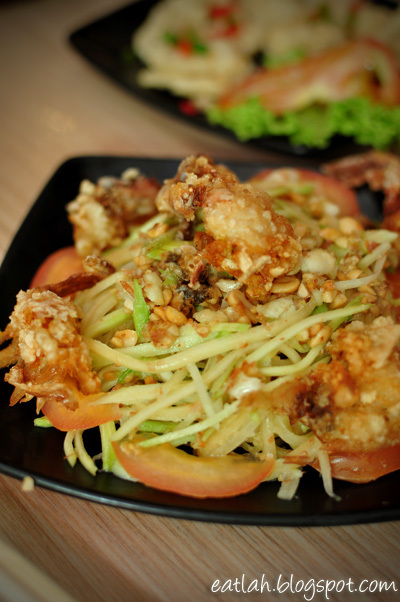 Som Tam with Soft Shell Crab (RM 8.90), a truly Thai dish with shredded green papaya marinated in lime juice with peanuts, tomatoes and delicious deep-fried soft shell crab. Grilled Marinated Pork Belly (RM 6.90), at half price, this will be a feeding frenzy! 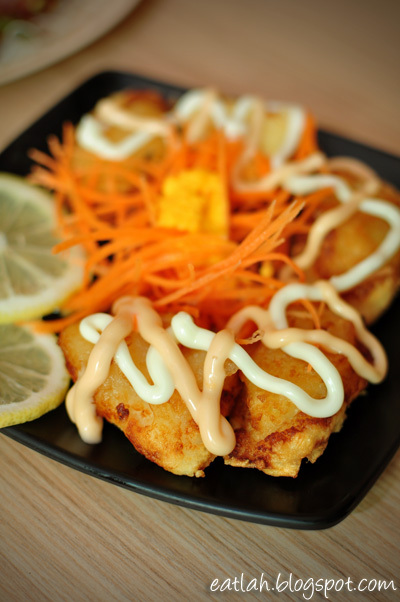 Pineapple Fish Fillet (RM 7.90), fish fillet deep fried together with stimulating pineapple cubes. 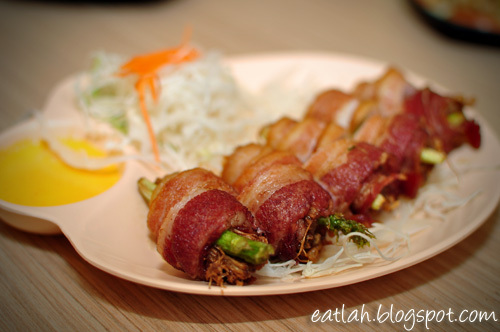 Fried Bacon Roll (RM 7.50), wrapped in asparagus and enoki mushroom; this is undeniably the most popular side-dish in BarBQ Plaza! Unfortunately, no 50% off for this deliciously-to-die-for bacon roll, else it will be a buffet! 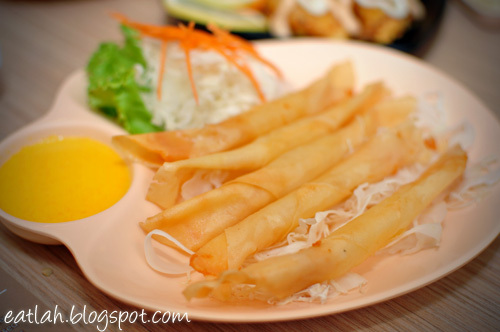 Cheezy Rolls (RM 6.90), a new side-dish with crispy thin crust similar to dumpling skin. Deep fried and wrapped with evenly thin layer of cheese inside. Compared to the rest, this was my least favorite. 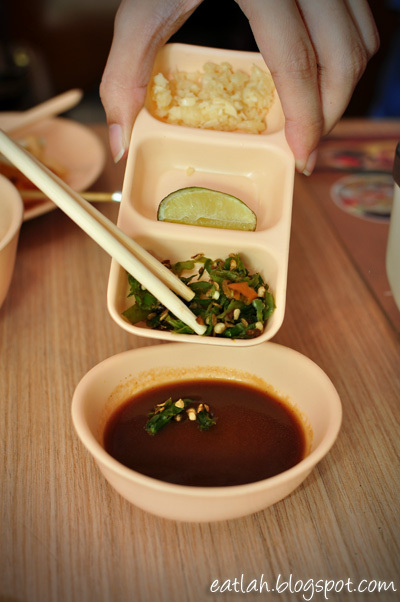 To bring forth the finest flavor of the meat and seafood, it is a must to dip in this special vegetarian-based sauce imported weekly from Bangkok. Add a slight twist by mixing the chili, garlic and squeezed lime into the sauce, it made a world of difference to the taste! BarBQ Plaza emphasizes on their specialty barbecue sauce and employs a strict daily quality control to ensure a stable pH level. 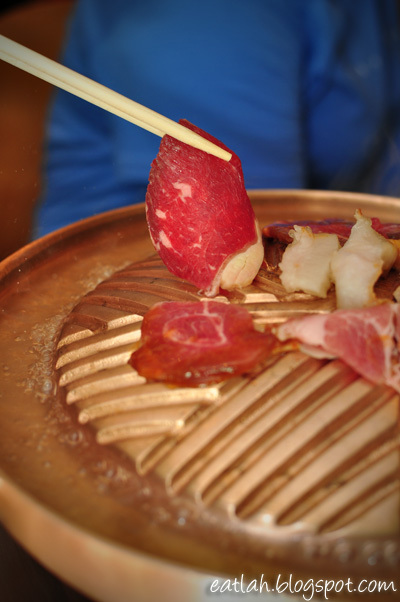 Next, greased the hot plate with the pork lard to create a non-stick surface for grilling. 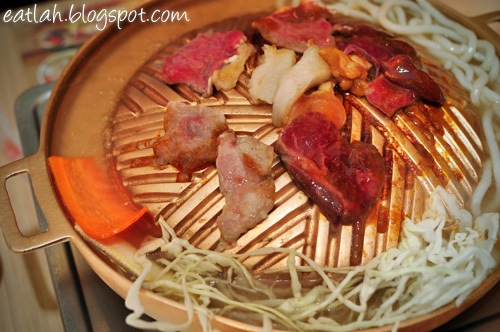 When it was sizzling hot enough, placed some beef slices on top. 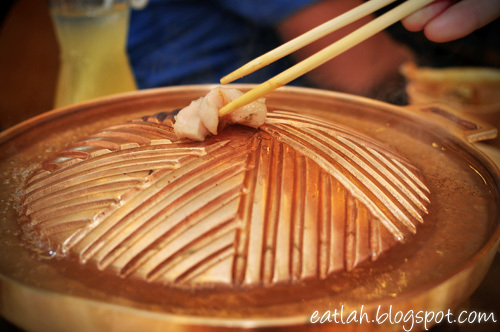 It only took few seconds to cook on each side as overcooking it will affect its tenderness. For the soup to be sweet, chucked all the vegetables into the narrow steamboat opening filled with light boiling chicken stock. It was a little challenging trying to get the soup out from the narrow opening. As part of the deal, each Supreme set comes with two bowls of white rice. 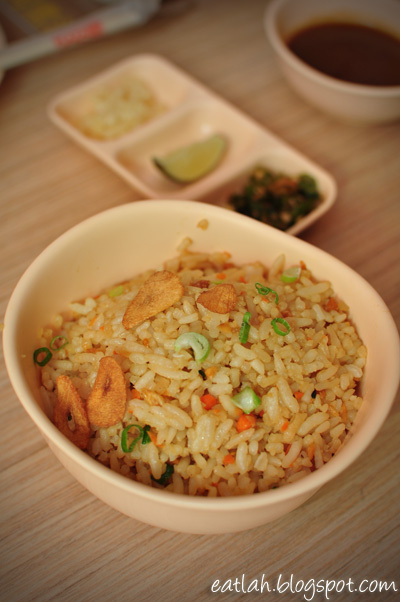 You might also want to try out their specialty Garlic Fried Rice (RM 2.50). In addition to the deal, Bar B Q Plaza is having an in-house promotion for their Korean Family Set (RM 59.90), which includes a plate of marinated beef, marinated chicken, udon, sliced cabbage, broccoli, bean curd, baby corn and tomato. From the same set, another plate comes with fish fillet, squid, shrimp, jelly fish, bacon, udon, sliced cabbage, baby corn, lettuce and tomato. 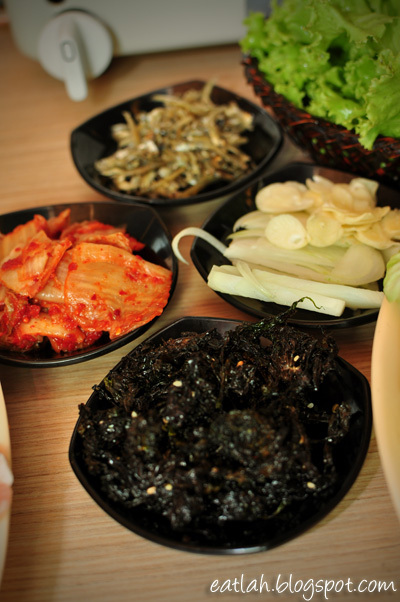 And of course, along with Korean side-dishes such as kimchi, gimjaban (dried seaweed), stir fried dried anchovies, raw garlic and a bowl of lettuce for wrapping. 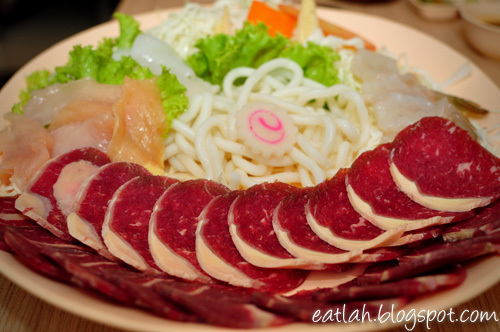 We felt like we just had a piece of Korean, Japanese, Mongolian and Thai cuisines all under one roof! 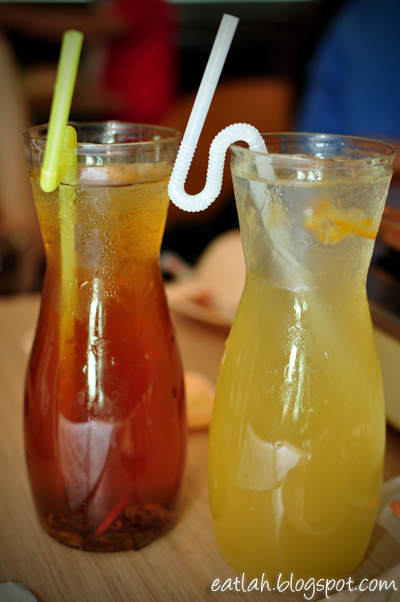 For beverages, you have choices of free drinking waters, refillable green tea (RM 2.50), or special beverages like the Korean Lemon Citron (RM 5.50) and Korean Honey Jujube (RM 5.50). Verdict: This deal is definitely a bargain! The strategy for us is to go frenzy on the 50% off side-dishes! the great info you will have right here on this post.